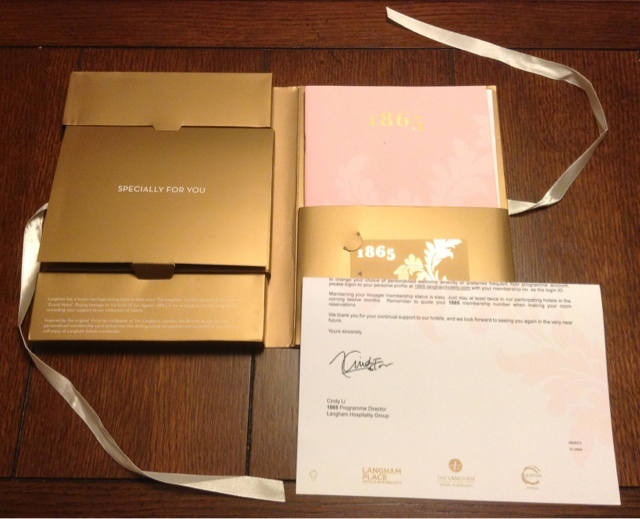 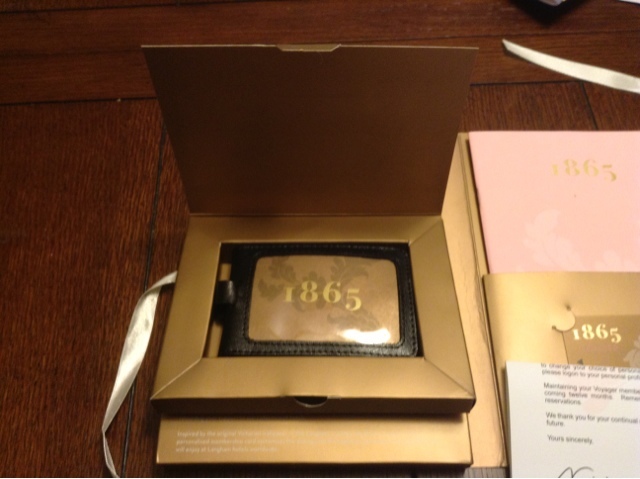 As mentioned in my post here, I recently applied for free elite status with the 1865 program with langham hotels. 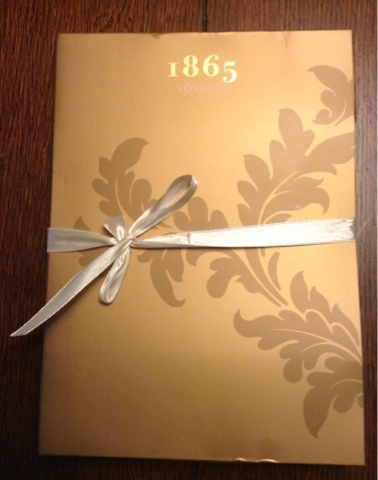 My welcome package arrived yesterday, and I have to admit its one of the nicer welcome packages I have received. 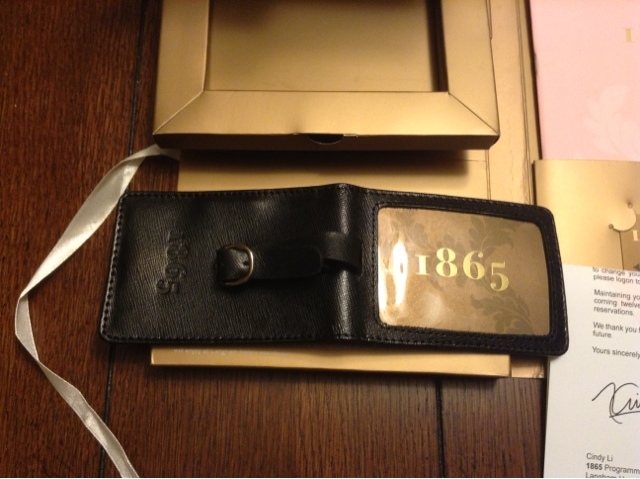 Aside from the membership card there is also a pretty nifty luggage tag.